Prepare yourself for the best of both worlds! 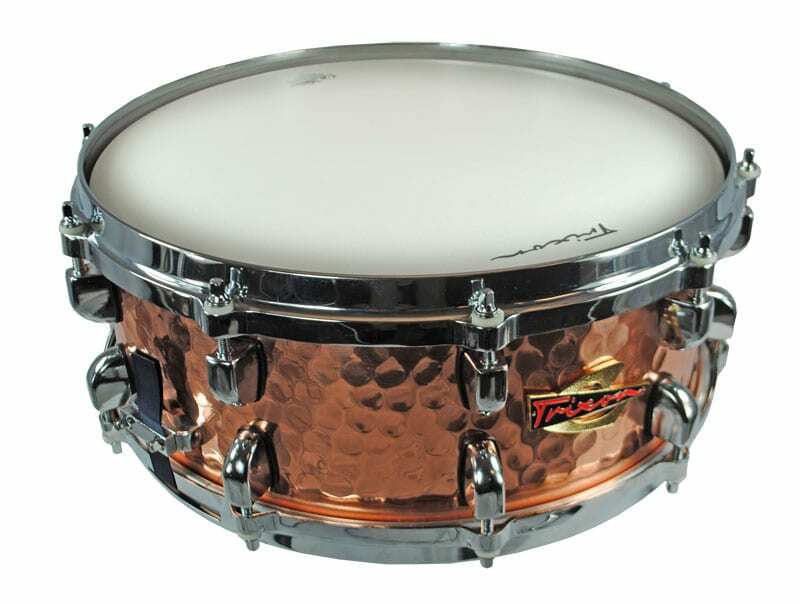 Trixon proudly presents a hand-hammered copper snare drum that offers the warm sonic properties of a wood snare and at the same time offers brass-like brightness and that certain “fat honk” you expect from hand-crafted metal. 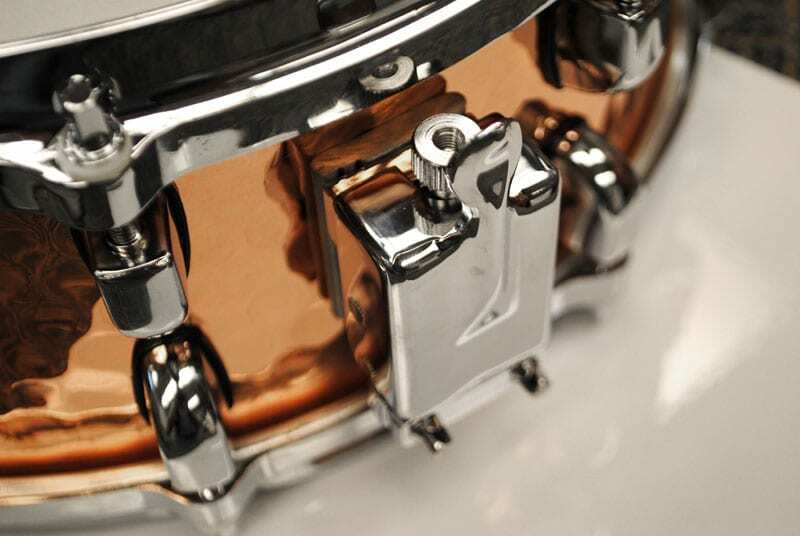 1.2mm of hand-hammered copper allows this snare to be tuned lower than your standard steel snare without giving up projection and volume. Our Copper is mined at Bingham Canyon Mine in Utah and contains a proprietary density ratio that we special order. While awaiting hand assembly the copper resides in climate controlled facilities so when the shells are formed the metallurgy hasn’t changed from its purest form. 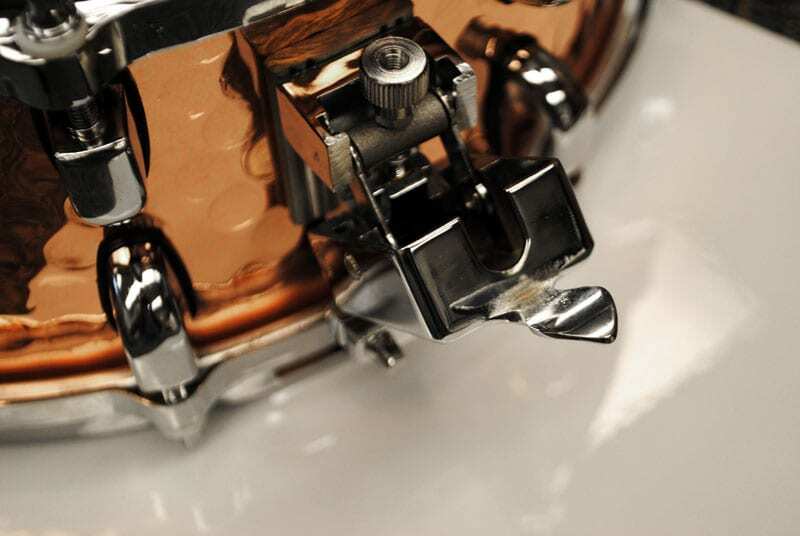 When the copper is ready for production it is machine drawn and spun for consistent thickness. Next our small team of metal artisans use a mix of early 20th Century hammering machines and old-school muscle-powered hand hammers to create beautiful and strong copper shells.